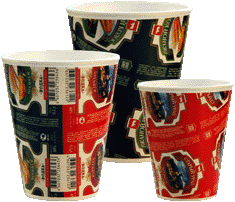 THERMOWARE EPS Machinery is the world largest manufacturer of expanded polystyrene cup production machines. We are Knowledge re-sourcing and consulting company in the area of plastics technology, machine design and automation controls development. We provide a one–stop total solution to the industry Total commitment, confidence, transparency and trust are at our hearts for what we work. Thorough field experience, in-depth job knowledge, scientific approach , these are the pillars you can count on us.